#3641982 Is there 80col. only hardware available right now? 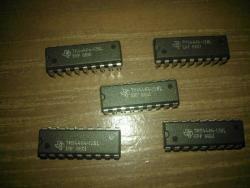 the IC used in the XEP 80 is still available on ebay. pc's were mostly business machine back in the day. 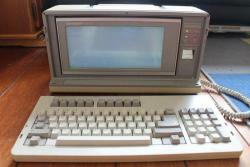 A C64 could do 80 colums (both in soft and with hardware add-on btw) the Atari could do 80 columns with the XEP80. when it comes to gaming, I don't think any system killed the gaming! So normally I'm not into buying old pc stuff, but I couldn't resist this bargain. It was offered as NOT WORKING, so the price was low. The other floppy (the dos boot floppy) didn't have any label on it so I couldn't tell if it was a hd or dd floppy. 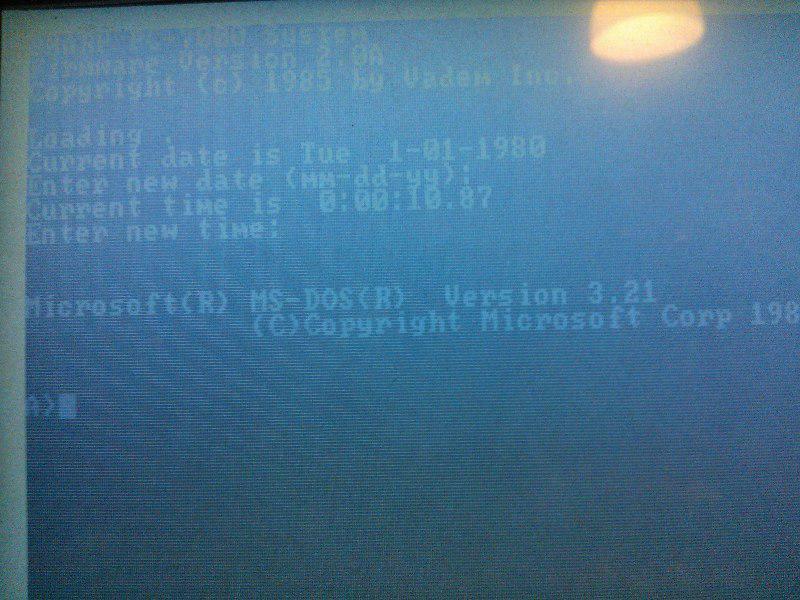 I decided to just make a new boot floppy on a known good dd flop I had, but I had to find a way to get the drives from the sharp working in an old desktop pc. I managed to do that and make a new floppy and the sharp booted that nicely. But then a new problem came to light....the thing was unstable, crashed randomly and gave all kinds of errors. 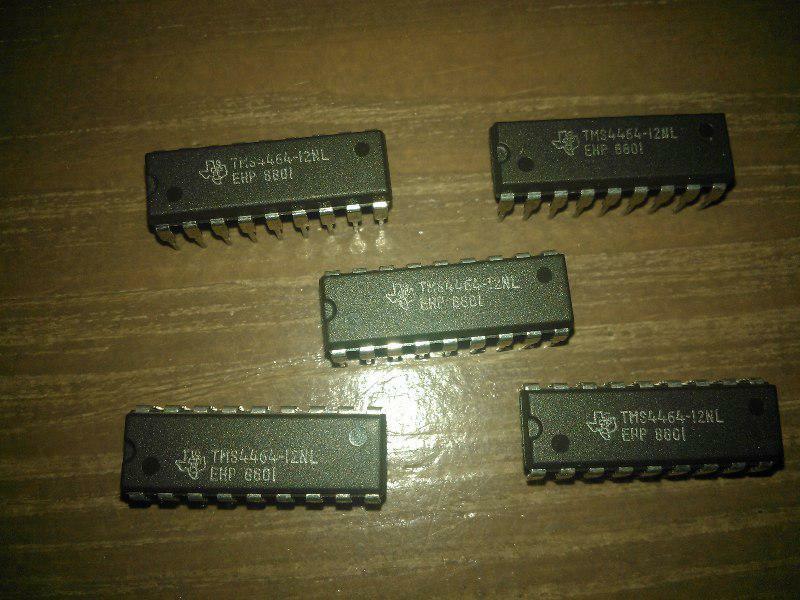 Last night I tested the DRAM (4464 = 64x4) and found 5 bad chips. 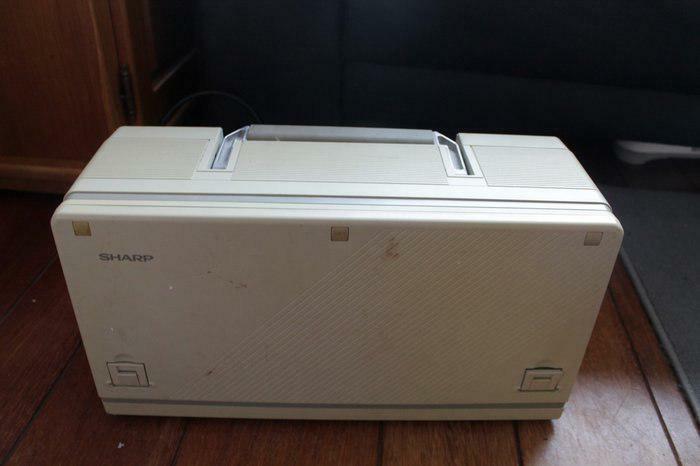 The sharp is playing along nicely now, but with less ram. I am gonna replace the bad ram chips sooner or later so the ram is maxed out again. 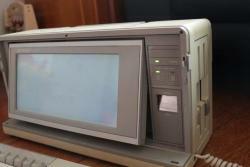 Almost 31 years of age, but the sharp pc-7000 is still up and running! Hey, that looks pretty good! The sprites could look more detailed with some of the characters in the Aquarius character set beyond the "bloxels", but Beamrider would be a good choice for the Aquarius, and this certainly looks like a promising start. wow those look pretty cool ! The aquarius has been a system I chased for years, and when I finally got hold of it with a 16k rampack (which wasn't working like it should) I couldn't wait. I am much more of a hardware guy, but this beamrider project is something I wanna do. Here's a little something I've started. I just made a deal on a non working intellivision. Sow now I was looking into emulation of the thing and I played some games....pretty funny. What a funny but challenging game that is. #2912779 pixelpast.com site gone ? the most rotten lack is the fact that the emulator doesn't have a debugger and we don't know the full ASM instruction set of the aquarius. 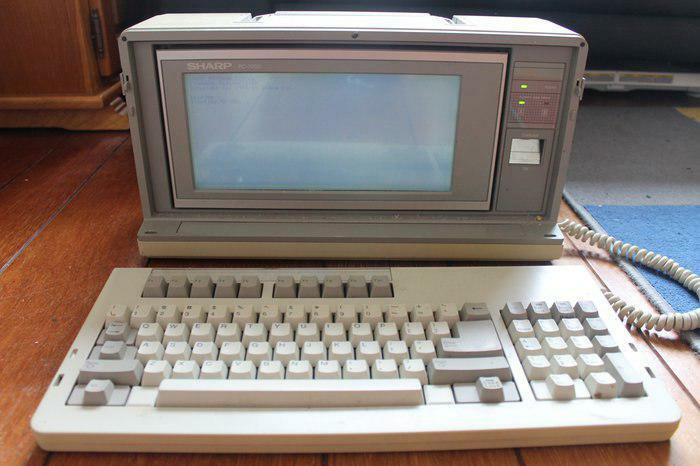 An ASM debugger and built-in assembler in an aquarius emu would be nice, but I am affraid it's never gonna happen. The first thing I've done was create a demo. Nothing fancy, but still it's cool. hehe thanks for the help. I started doing some programming for my aquarius this afternoon. I forgot the command to check the free memory on my aquarius. It was something with print ($) fre or free, but I can't remember!! I got a day off from work, so I decided to challenge myself for a game of columns on my sega genesis. The genny is still powered on, but I paused the game to visit a friend. I started searching for my gameboy games, took one that I wasn't playing and took it appart. 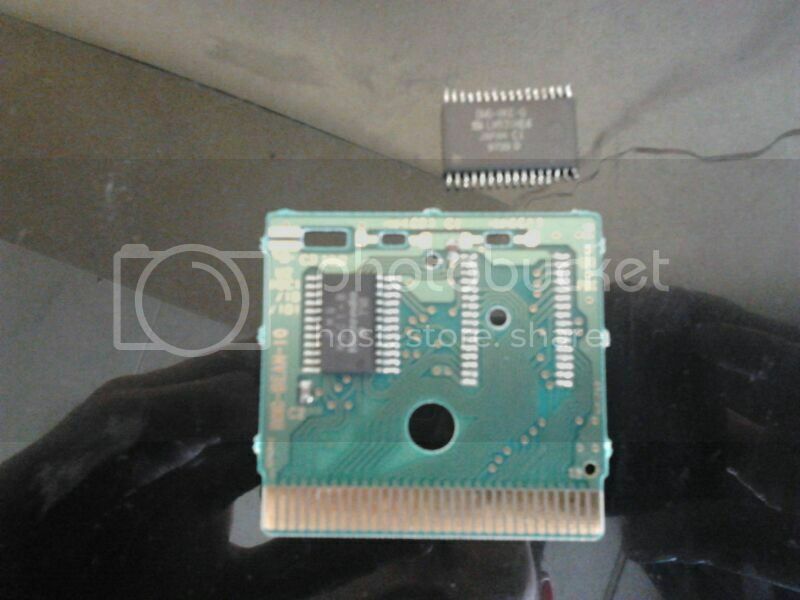 A maskrom and a mapper/bankswitching chip were there and I searched the internet some more, looking to find the maskrom pinout and the the cartridge pinout. 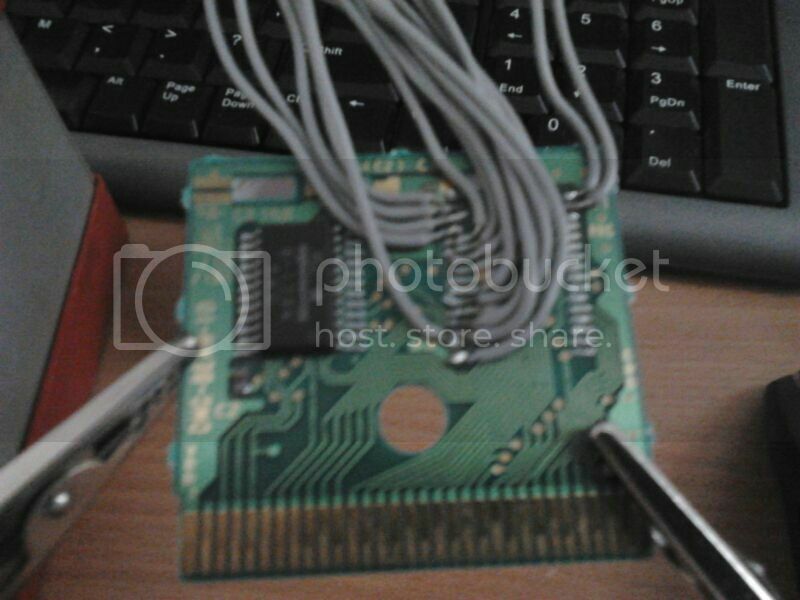 To test the thing I took an old pc motherboard with an eeprom as bios chip and flashed it with a gameboy game. 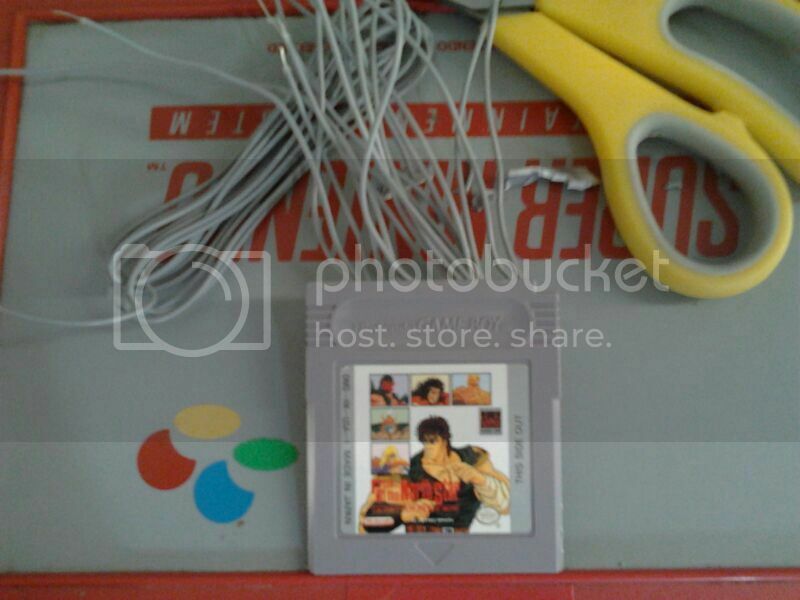 The gamyboy I am testing it on is a gb advance SP. Classic gameboy games stick out a lot, but this one sticks out a bit more because the cart is extended with a pcb with an IC Socket so the eeprom can be inserted.